The Prone Pillow is designed to comfortably support your clients during a variety of procedures and offers excellent air flow for long prone procedures. Radiolucent. The Prone Pillow is designed to comfortably support your clients during a variety of procedures and offers excellent air flow for long prone procedures. The Prone Pillow can be used on any horizontal surface. 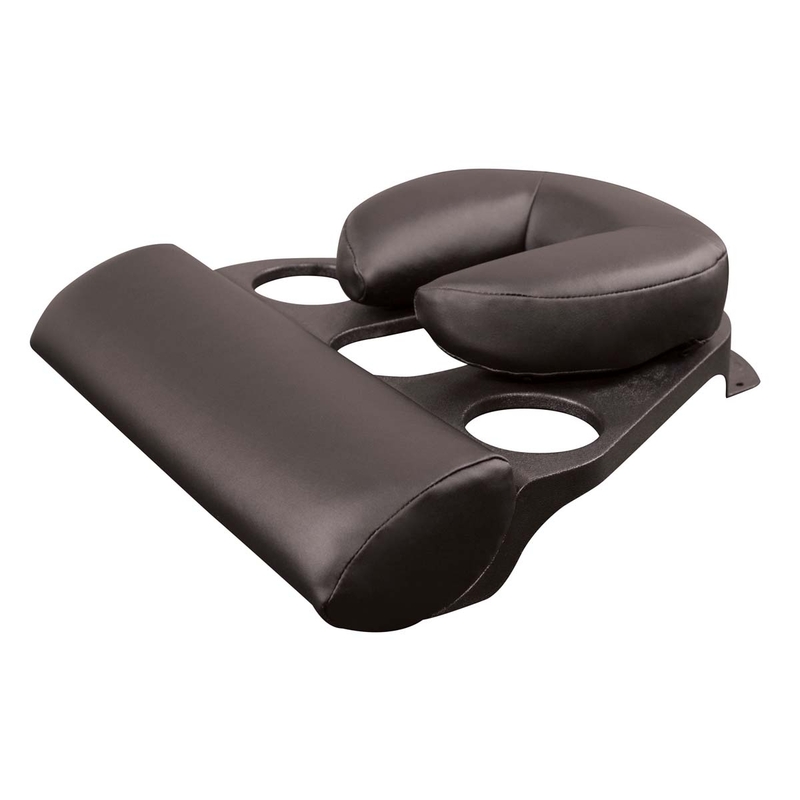 The unit is composed of a easily cleaned, durable polymer platform and a proprietary pad system made up of 2 removable, positionable pads: the Head Rest Cushion and the Support Pad. These pads are positioned on the platform through the use of Velcro® attachment strips that hold the pads securely in the perfect position for both comfort and procedural need, regardless of client size. Radiolucent. Support Pad: 3" x 6" x 19"